My last bar of chocolate from the order was the 70% Amedei Chuao bar. This bar is made from the same variety of Criollo beans as the Chocolat Bonnat bar I reviewed a few weeks ago and I was very much looking forward to what is considered the definitive rendition of these beans in bar form. Unfortunately I was underwhelmed. The chocolate was good, but it just didn't do it for me the way the Chocolat Bonnat bar did. 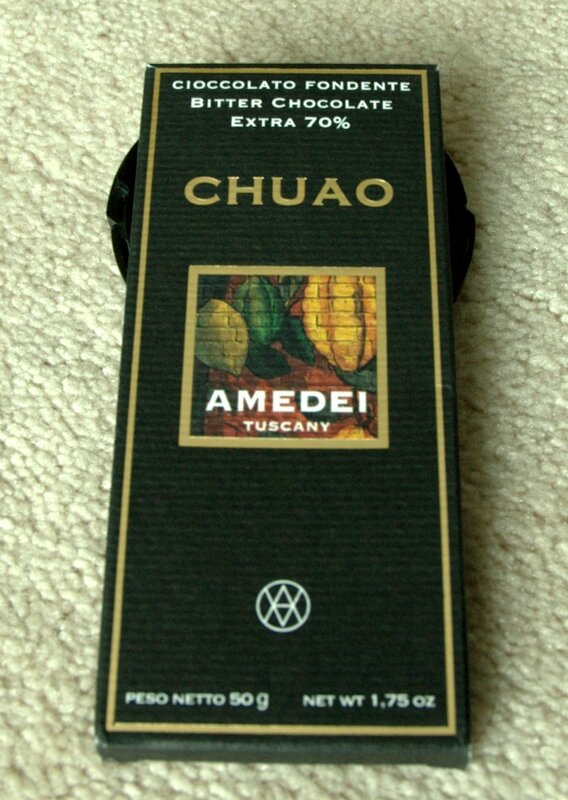 Plus the Amedei bar is four times as expensive as the Chocolat Bonnat. Combine all this with the fact that I just discovered I can get the Chocolat Bonnat bar at Domino Foods in the St. Lawrence Market and I don't see myself ordering the Amedei again. I will however explore their other, more reasonably priced bars, as the company overall impresses me with their dedication to delicious chocolate. In other chocolate related news, I went to a little chocolate shop on Queen East last weekend after climbing. I can't remember the name or the address but it's on the south side of Queen street just a little bit east of Broadview. They mostly sold truffles but had a few other things too. I bought four truffles and they were all super delicious. My favourite was definitely the dark chocolate salted caramel. Mmmmm.